As we move through our MWC meeting writeup backlog this week, one of the interesting developments we saw was from Sony. Apart from new smartphones, Sony showed two interesting devices at MWC 2017: the Xperia Ear Open-Style Concept as well as the Xperia Touch Android projector. Both devices use a number of Sony’s proprietary technologies, and Sony states that their usage models differ from what we expect to see from today’s devices. The open-style headphone is officially a concept device, with Sony wanting feedback, whereas the latter is a product that is about to ship. Sony showcased its wireless stereo headphones called the Xperia Ear Open-Style Concept on the show floor. 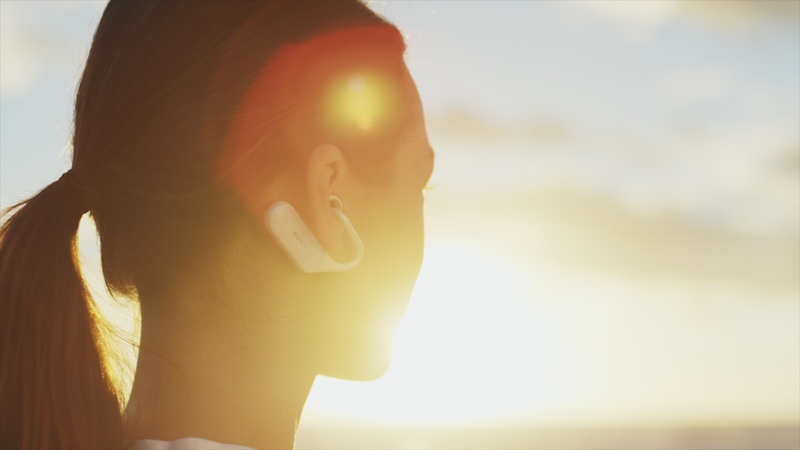 The headphones enable users to listen to music and receive notifications from their apps, while also hearing sounds from the outside world. Sony stated that people wearing headphones may not be aware of what is happening in the periphery and may not know whether a car or something heavier is incoming and they cannot be warned because their ears are busy. Sony does not go too deep explaining how the Xperia Ear Open-Style concept device works, but only says that it has two spatial acoustic conductors, and driver units transmitting sounds to the ear canal. Based on the look of two of Sony's prototypes (one was demonstrated at MWC, another was shown in images from Sony's labs), the driver units seem to be rather large and it is unclear whether the company can make them considerably smaller. Moreover, keep in mind that everything is wireless, which adds its complexities (e.g., power consumption and the stability of connection to the audio source, etc.). 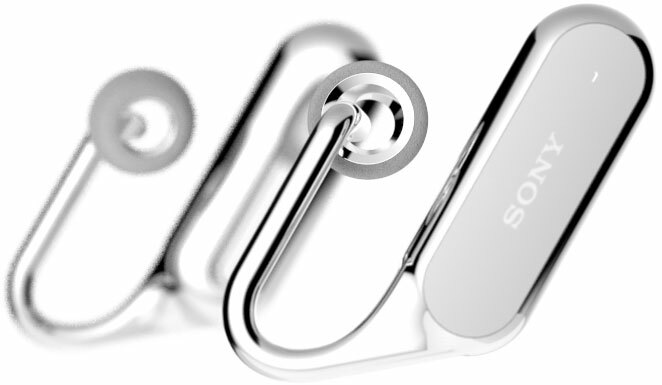 Sony compares its Xperia Ear Open-Style to its Xperia Ear headset, so we are talking about a device that connects to an Android smartphone and supports Sony’s Agent assistant. Based on Sony’s and our own pictures, the Xperia Ear Open-Style is rather huge, which may indicate that it might have more compute in there than just for audio, perhaps teasing other functionality. If the concept goes into production, it will likely be a bit smaller, but exact dimensions are something that even Sony most probably does not know right now. Android apps are run on Android-based smartphones, tablets or Chromebooks, which makes it hard to use them collaboratively unless you happen to own one of those 32-inch table(t)s. Sony wants to change that with its Xperia Touch projector. The device is such that it not only projects images but also senses interactions with them, making any surface a 23” touchscreen. It can also be used to project to an 80” wall. Sony says that this is a useful tool for collaborative family entertainment, but could also be used for collaborative work or for public services such as cafés. 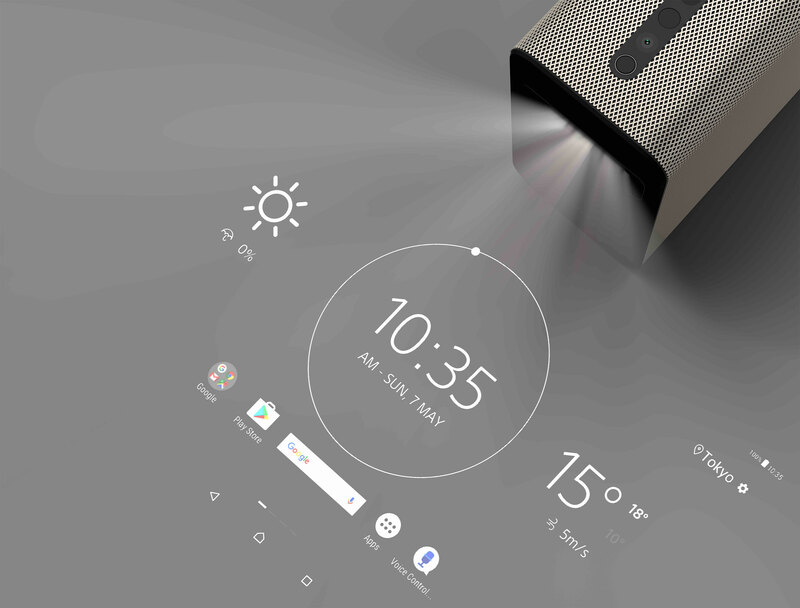 The Sony Xperia Touch is a fully fledged Google Android 7.0-based computer, based on an unknown SoC and is equipped with 3 GB of LPDDR3, 32 GB eMMC storage, sensors (e-compass, GPS, ambient, light barometer, temperature, humidity, human detection that also recognizes certain gestures), communication capabilities (802.11ac, Bluetooth 4.2, NFC, USB Type-C, HDMI), a microphone that can be used for voice commands, stereo speakers as well as a battery (lasts for one hour with half brightness). The display system uses a laser diode-based 0.37 SXRD LCD shutter projection with 1366x768 resolution, 100 nits brightness and a 4000:1 contrast ratio. 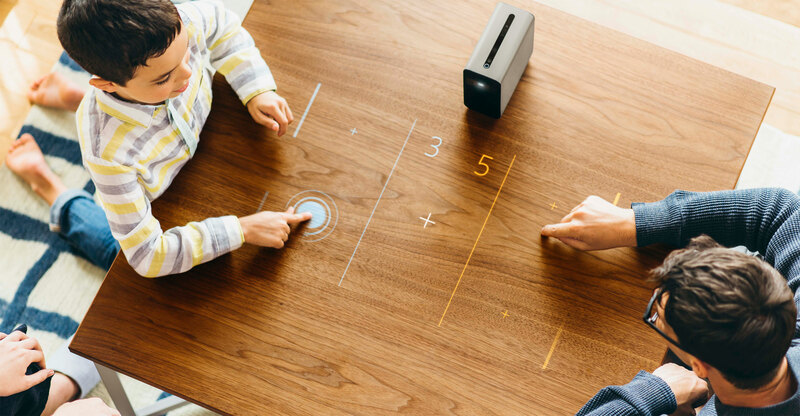 To detect what users do, the Xperia Touch uses an IR sensor and Sony Exmor RS RGB sensors that capture images at 60 fps. Sony originally introduced its touch-sensing projector at MWC 2016 a year ago, but did not share any details about availability and pricing because it was a prototype back then. In one year, the device has evolved to a commercial product that Sony plans to start selling this spring on select markets in Europe for €1599. Given the relatively low resolution, lack of a significant library of consumer-grade software designed with the Xperia Touch in mind, a rather short battery life and high price, the projector is barely aimed at the mainstream audience at this point. For the time being, this product will be aimed at companies and individuals who already have ideas how to use it. Awkward and impractical. The good old hearing aid design is way better, looks better, is more practical. Only Sony got these kinds of weird ideas. They came up with a water proof phone idea in 2011 with Xperia active. Persistently they created waterproof phones for till all the other major smartphone manufactures produced water proof phones. They started with onscreen buttons on Android and is been years. Now leaks saying latest iPhone and galaxy s8 might sport on screen buttons. They also stickied to the dedicated camera button as well as a fingerprint scanner planted on the side of the phone. I felt like it's the most intuitive place for one to place the finger. I enjoy it in my z5 compact. "making any surface a 23” touchscreen"
So if I project it onto 12" surface, it'll expand it and make it 23"?